Chevron Cars asked NSI Projects to turn their empty unit into a high spec workshop facility for the production of their GT, GT3, and GT4 race cars using our experience in mezzanine floors Cheshire. Chevron produce a range of GT cars from their workshop in Crewe while provided repairs and restorations for their older race cars. With seventeen Grand Prix winners and eight F1 world champions driving a Chevron car during their career, they have a proud history of performance, so we were incredibly excited to help them improve their existing Crewe workshop with the addition of a mezzanine floor. The project included a single-storey mezzanine platform inclusive of a bespoke ‘Grandstand Design’ to the first floor, the forming of 4 new service bays for the production of the vehicles and a prep room for testing, all in double-skin steel partitioning with roller doors underneath the mezzanine. The lighting and heating around each bay was specifically designed to maximize the working area. 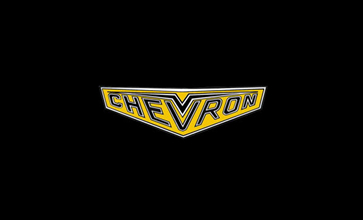 The project was carried out over 8 weeks and Chevron Cars specifically wanted the finish to be close to F1 standards, but without an F1 budget and they had to agree with us that it was exactly what they got! We have designed and installed countless mezzanine floors Cheshire and can offer a full service from an initial survey to maintenance after the project is completed. Chevron Cars is just one of our many happy customers for mezzanine floors Crewe, Cheshire and across the North West.